Filtration Concepts, Inc. has been in business since 1985. Family owned and operated, great care is given to the service we provide to our customers. Our incredible company growth over the last 30 years is evidence of our commitment to quality. The company that started as a simple filter distributor has now become the leader in providing solutions to improving indoor air quality and reducing energy consumption. We are committed to product excellence and innovative IAQ solutions. Our humble beginnings started with a small house office and a rented 20' x 20' warehouse. 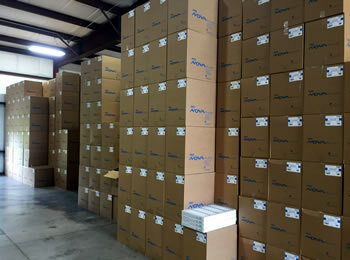 We now have over 48,000 square feet of office and warehouse space in our 2 locations. 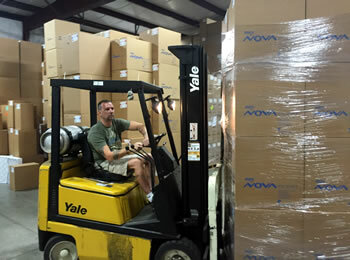 With our current warehouse capacity, we stock more HVAC and Paint Over-spray filters than any other distributor in the state. 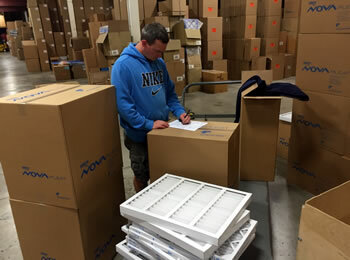 In fact, we customize our filter stock to fit the needs of each and every customer. We want to make it easy to get your filters to you quickly – even strange or uncommon sizes and types. We make all of our special size pleats in house for quick turn-around. At FCI, our goal is to provide the knowledge necessary to assist our customers in determining the right filter for the right application. 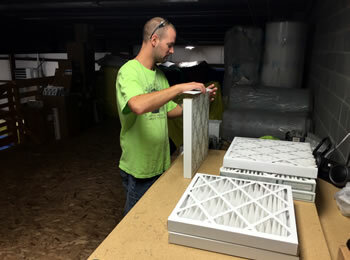 Let one of our Air Filter Professionals provide you with the knowledge and information that will help you provide the best possible indoor environment for the occupants of your building. Energy savings has been a strong focus of FCI, Inc. since the early 1990’s. Reducing pressure drop across your filters and coils and increasing heat transfer efficiency across your evaporation coil can greatly reduce your energy costs. We have the knowledge, experience and products to help you achieve your energy-saving goals.